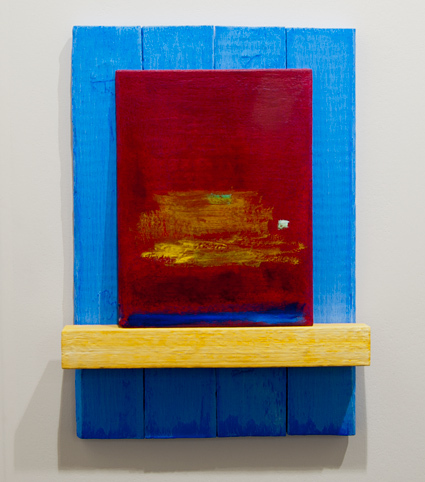 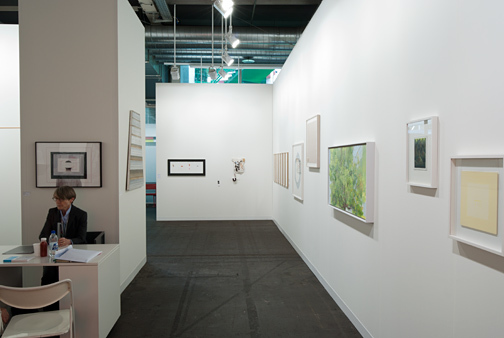 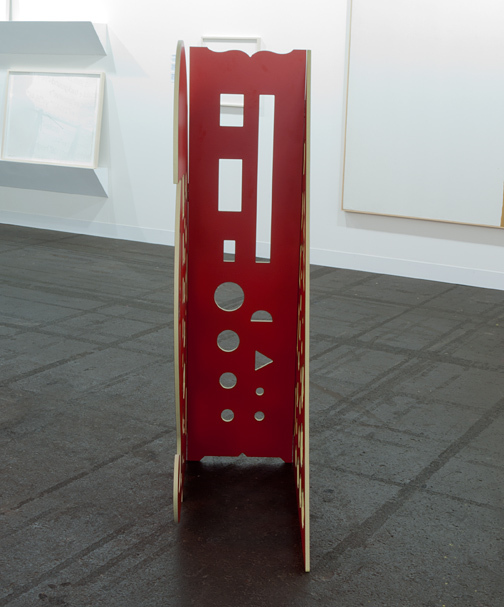 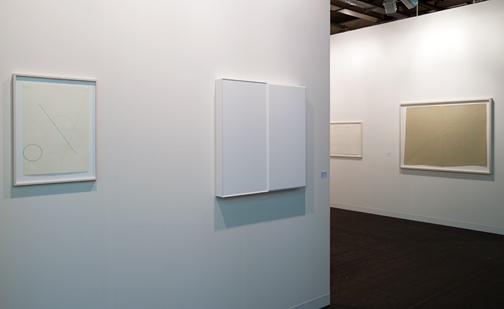 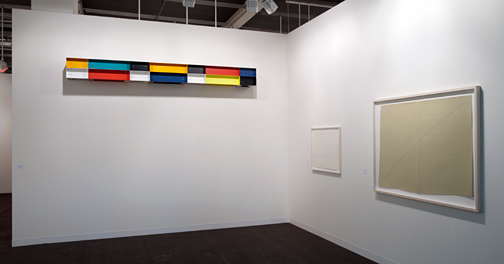 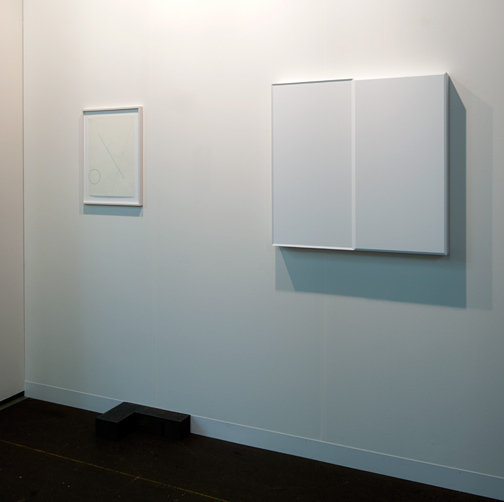 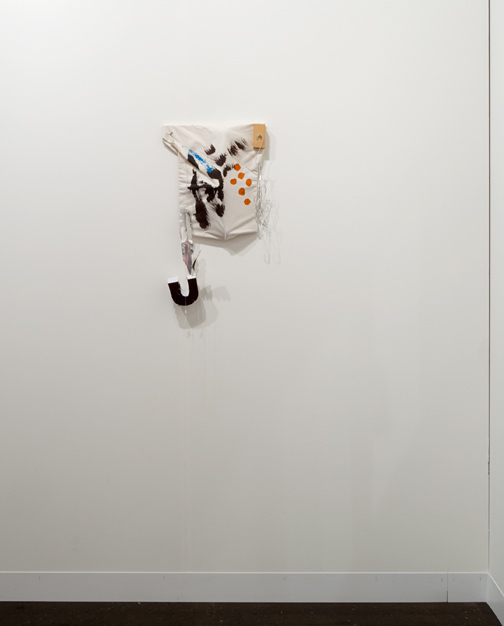 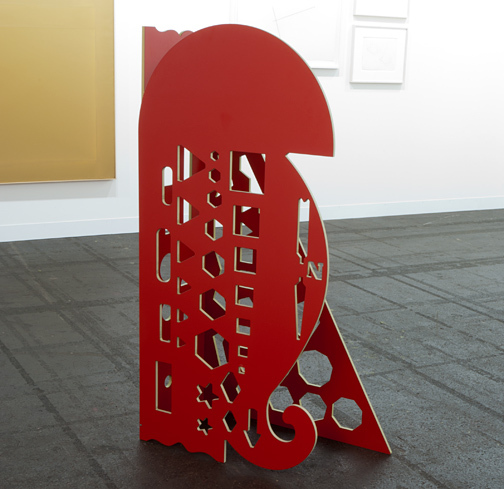 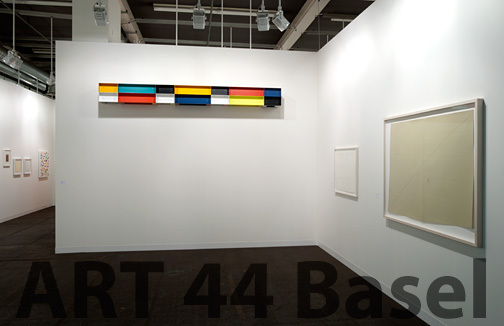 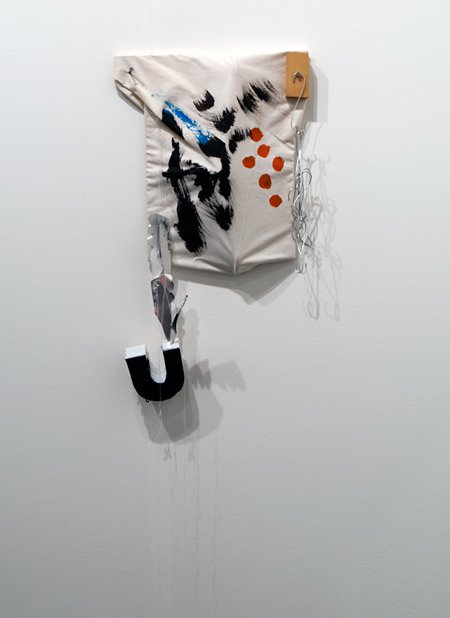 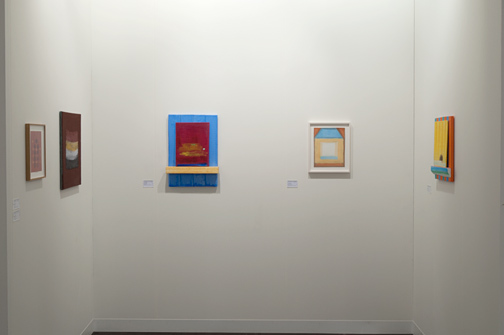 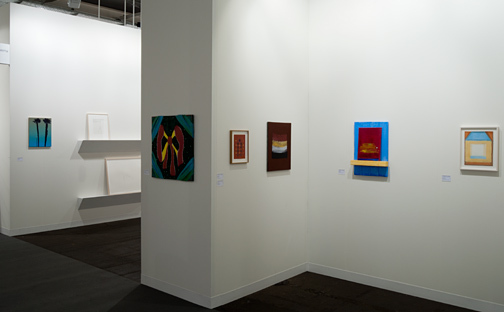 This year, three works form the cornerstones of our carefully curated presentation at Art 44 Basel. 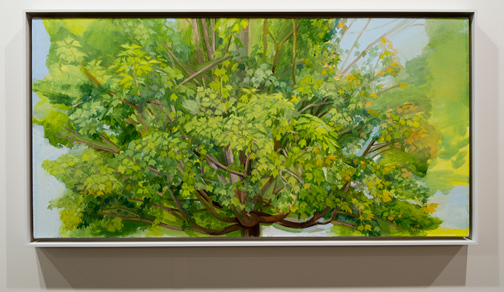 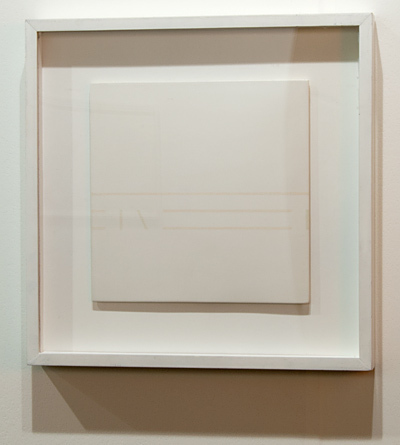 In the history of the gallery and in the life’s work of the artists, these important pieces have special significance. 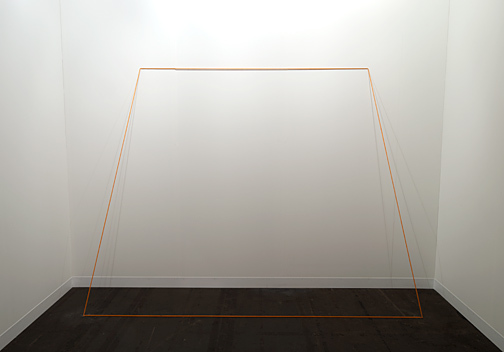 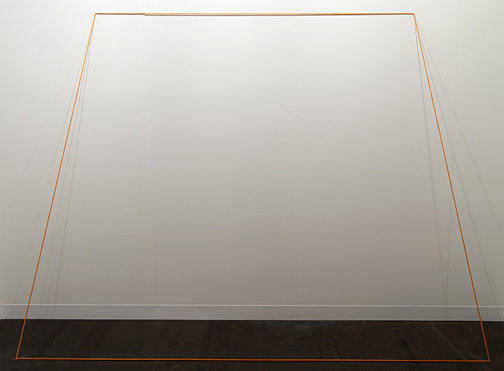 Fred Sandback’s sculpture “Untitled, 1968, Orange elastic cord” is a historic work and in many ways the epitome and most concentrated essence of his three-dimensional oeuvre. 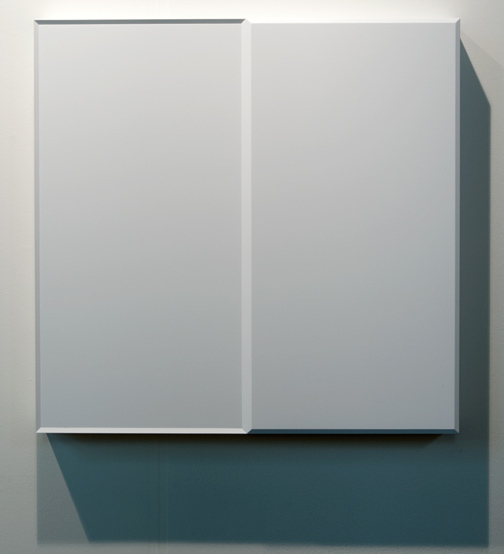 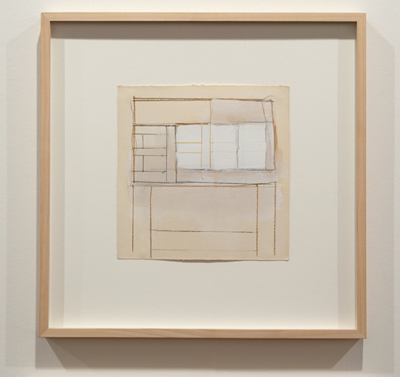 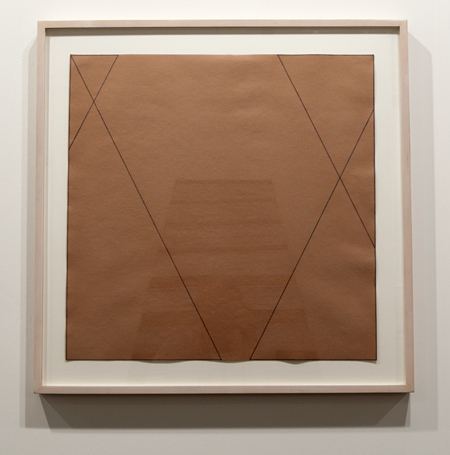 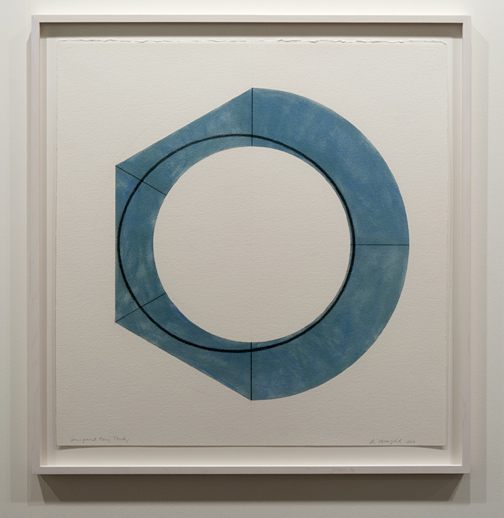 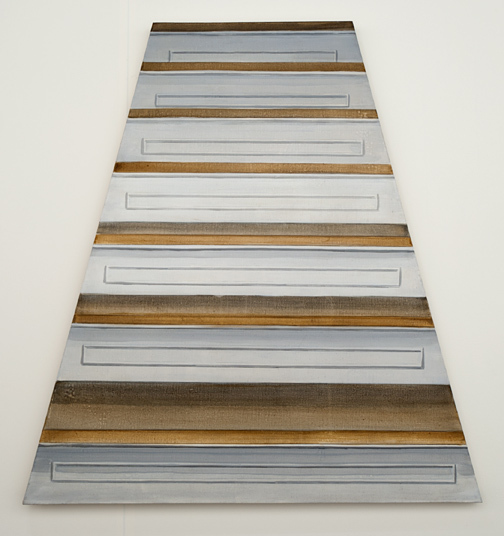 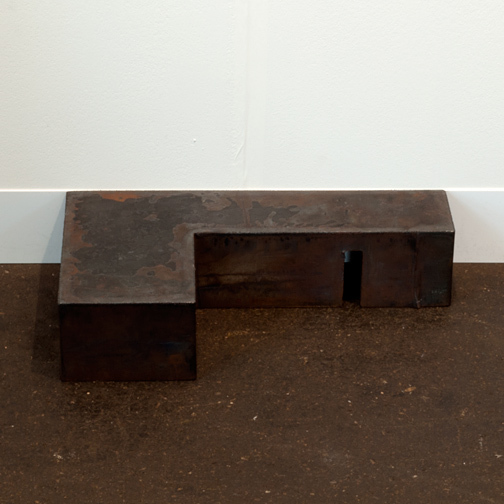 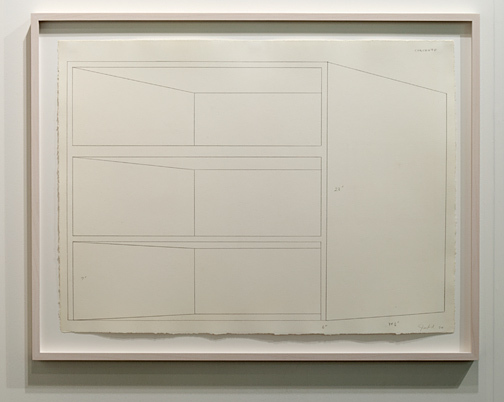 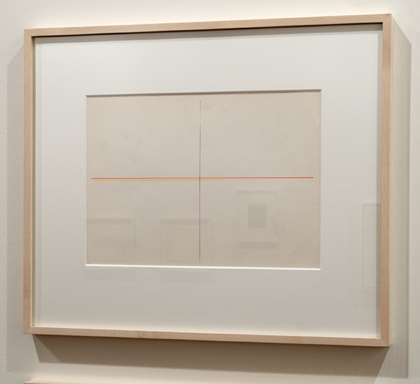 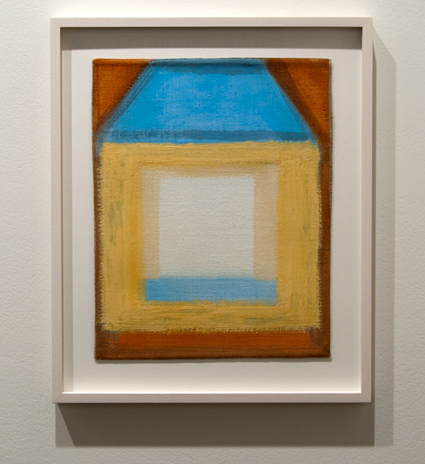 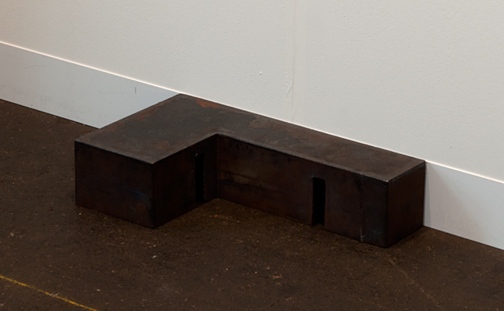 Appropriating wall and floor and bringing spatiality, surface and perspective down to a common denominator, its trapezoidal form constitutes a valid representation of his artistic achievement. 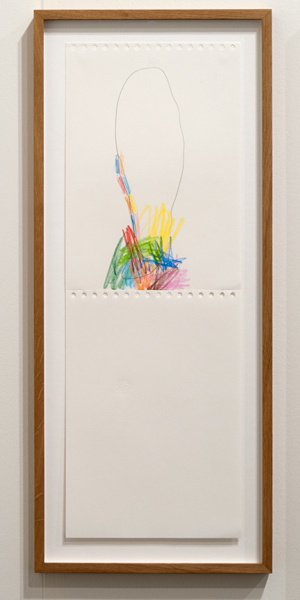 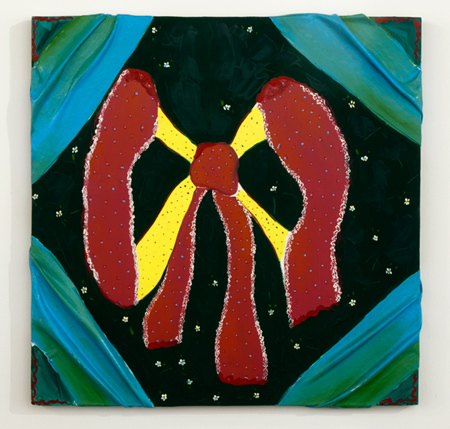 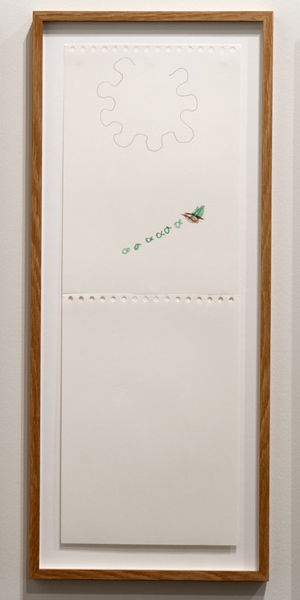 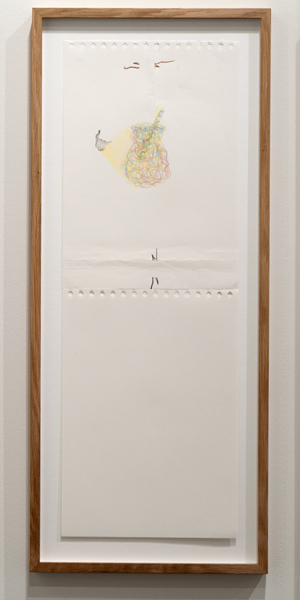 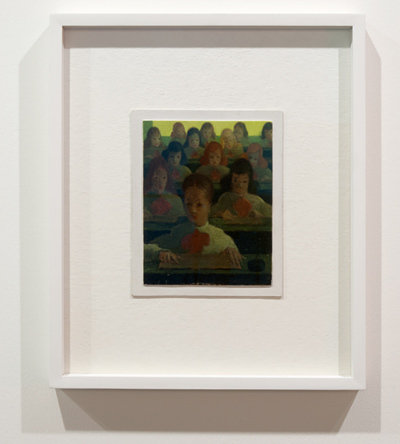 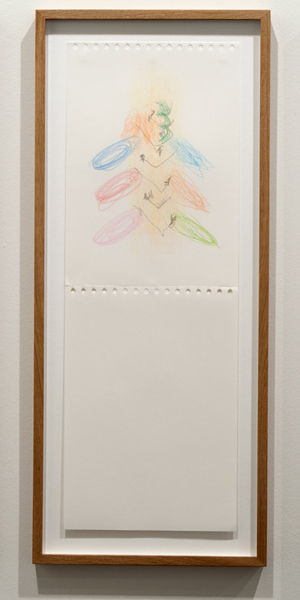 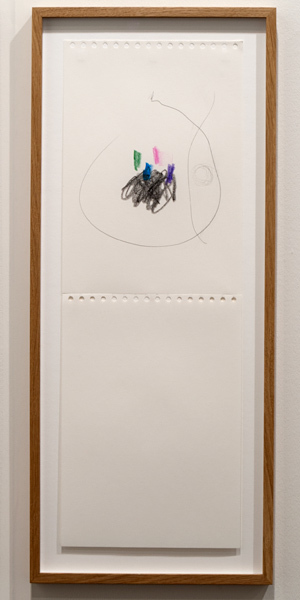 The artist and this early work are closely associated with the gallery, which opened in 1969. 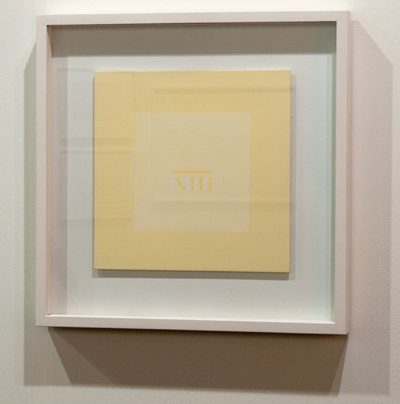 His first exhibition in our gallery goes back to the year 1971. 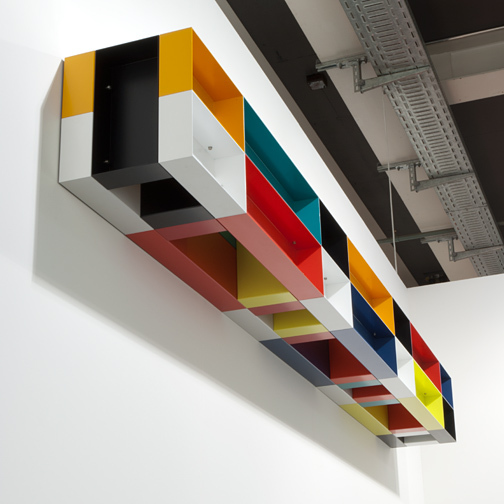 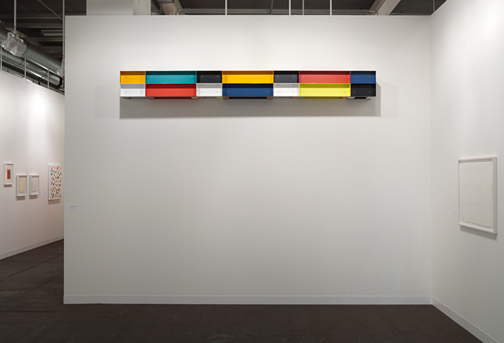 A group of enameled aluminum works by Donald Judd exploring color and multicolor combinations is often referred to as the “Swiss Pieces”. 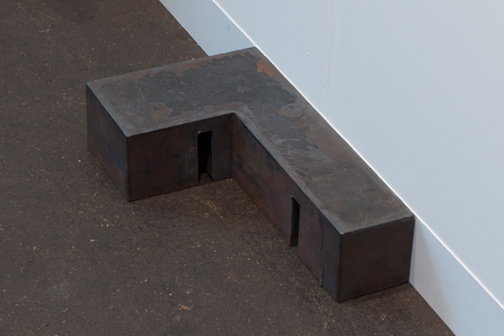 This is due to the fact that the characteristic work type was, in fact, invented by Judd in Switzerland and fabricated for the first time in close cooperation with a factory in Dübendorf near Zurich. 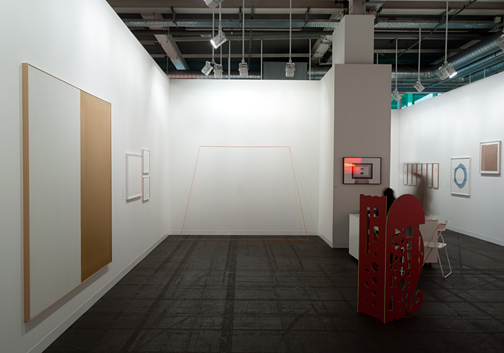 As the facilitator of this production arrangement, the gallery played a central role in the development of these works. 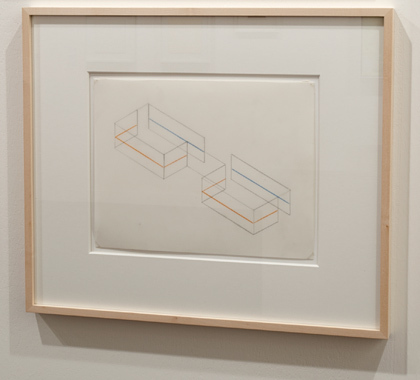 Starting in the 1970s, Donald Judd made frequent trips to Switzerland for our exhibitions, including numerous extended stays from 1985 onward. 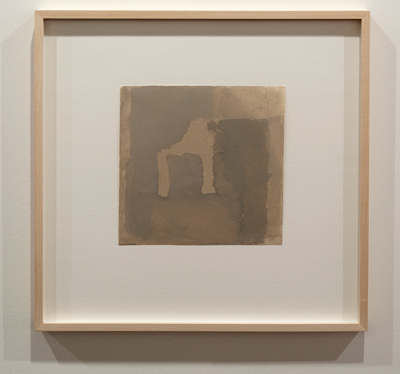 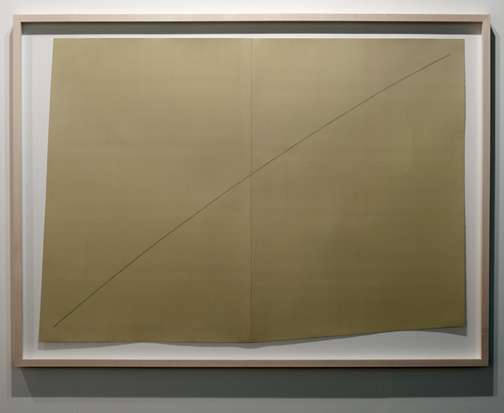 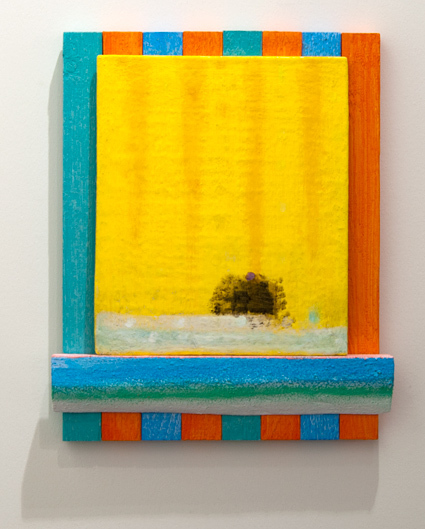 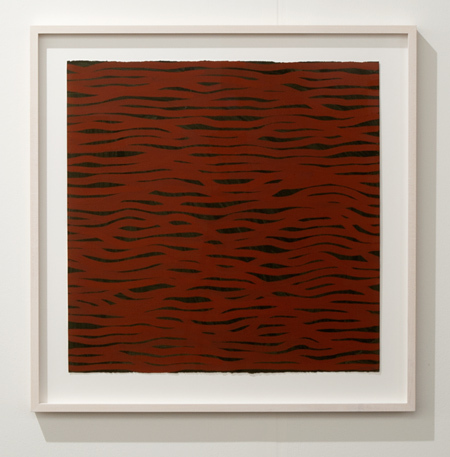 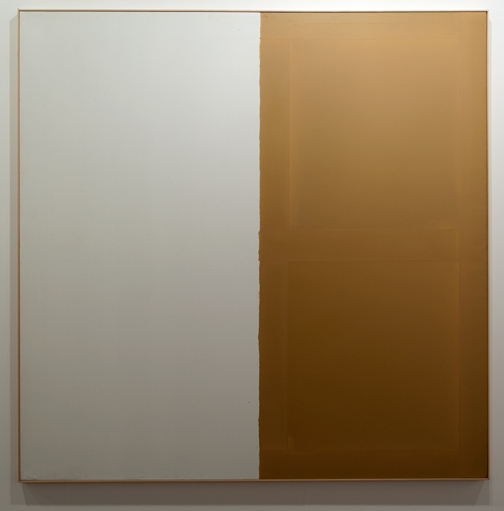 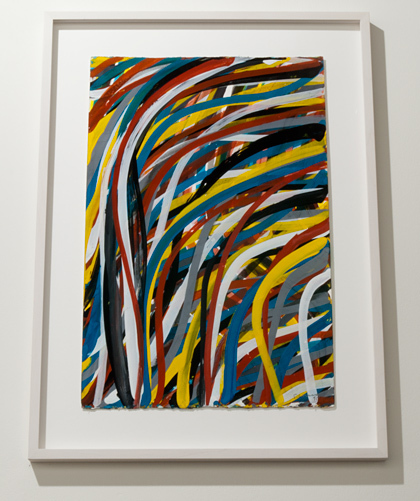 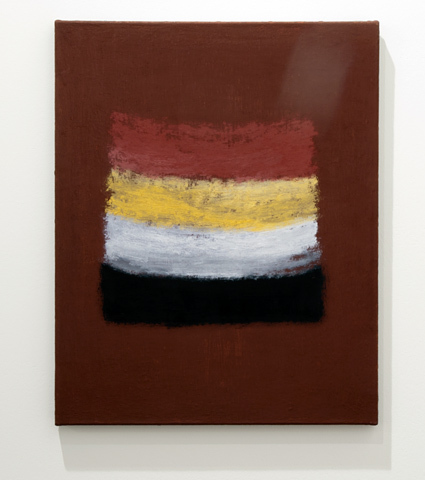 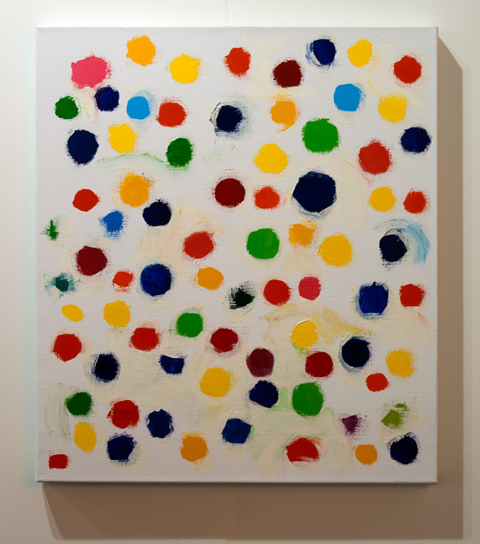 The work that we are showing, “Untitled, 1985” (30x30x300 cm), is an outstanding example from this cycle and has never been exhibited to date. 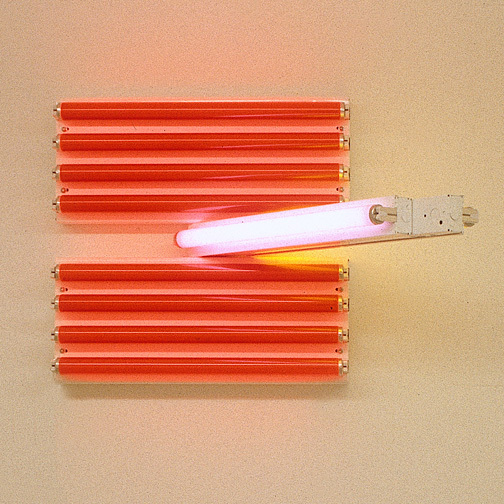 “Untitled, 1993 (For the Vernas on opening anew)” by Dan Flavin is one of four works created in 1993 for the opening exhibition of the gallery’s new premises. 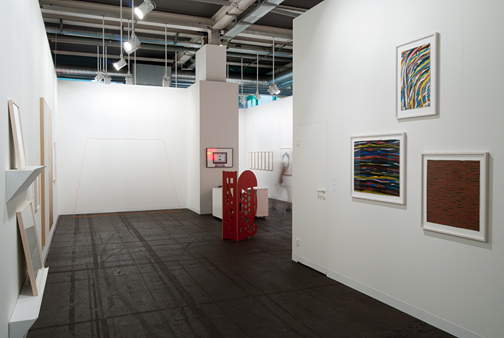 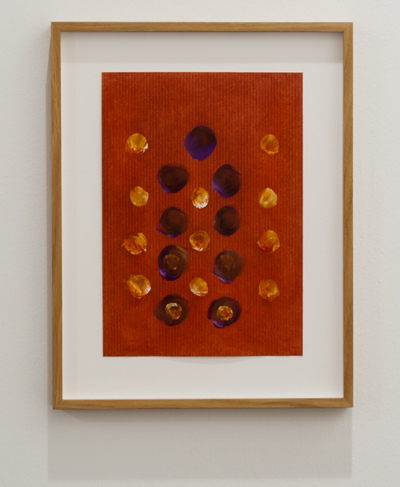 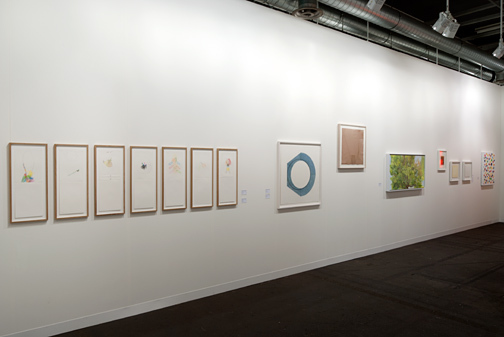 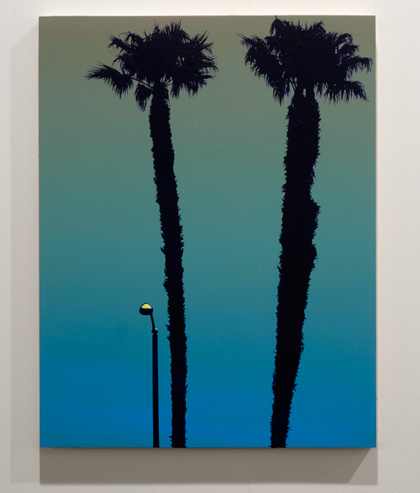 We are delighted to have the opportunity to show one of these works in Basel and another in the gallery. 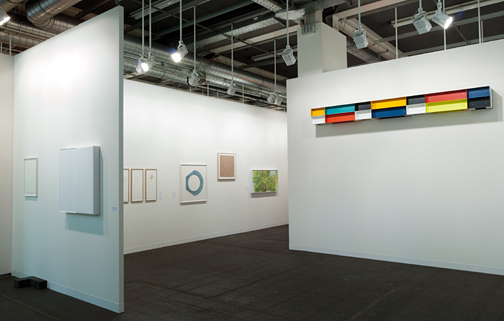 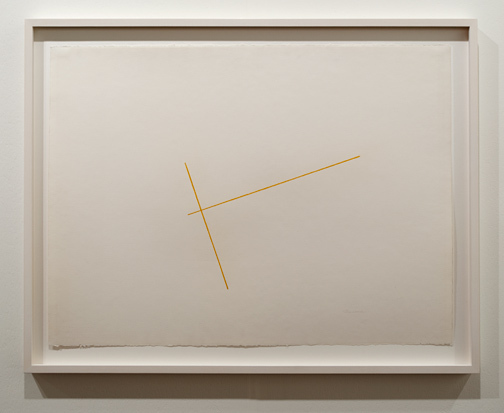 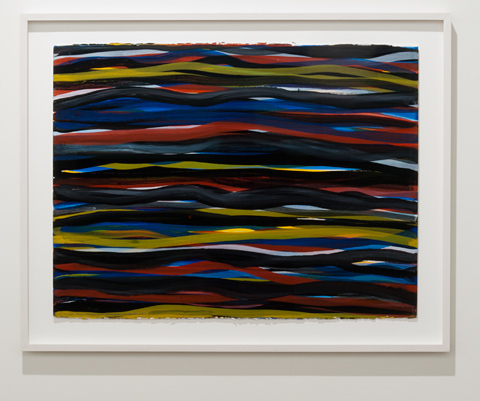 The exhibition “Celebrating 20 Years of Neptunstrasse 42 – Sol LeWitt - Wall Drawing Dan Flavin Donald Judd Robert Mangold Robert Ryman” is currently on view at the gallery in Zurich. 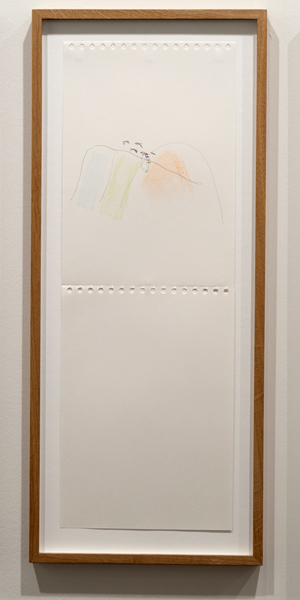 We highly recommend paying a visit. 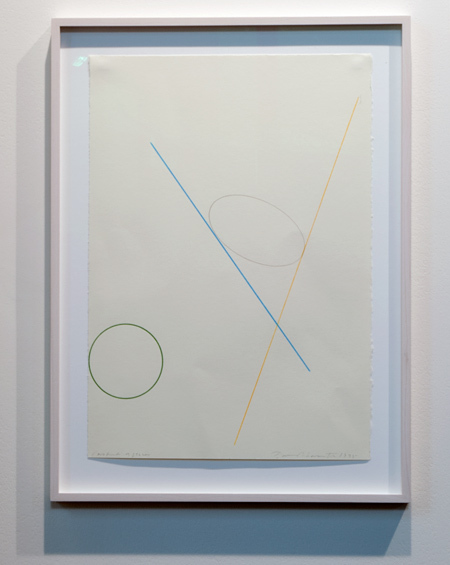 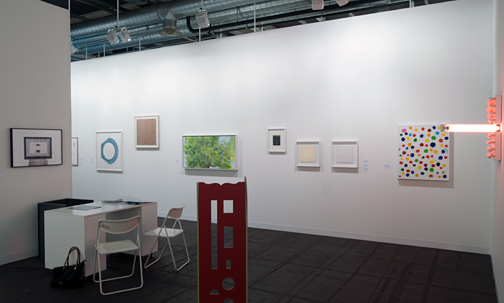 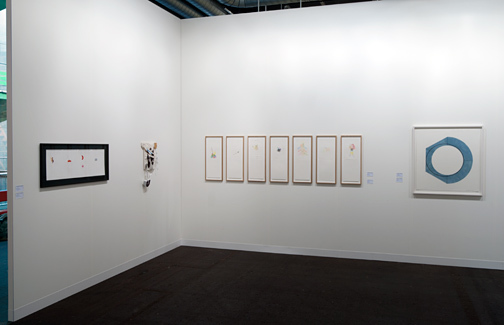 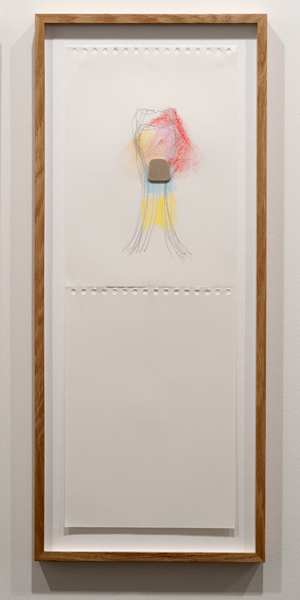 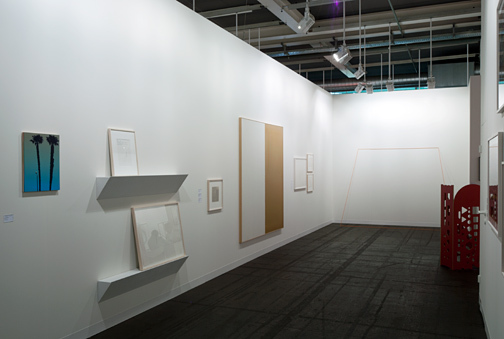 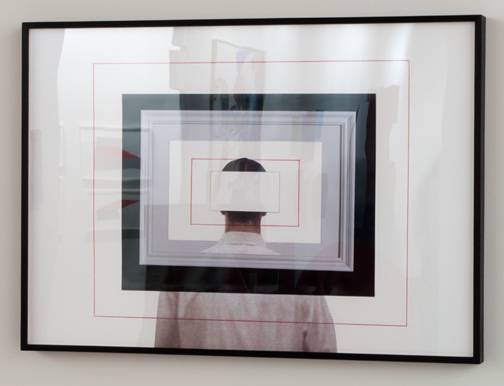 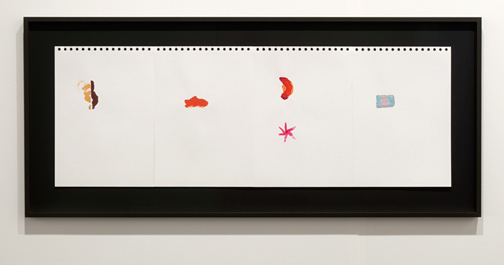 Giulio Paolini, Sylvia Plimack Mangold, David Rabinowitch, Glen Rubsamen, Fred Sandback, Jan Schoonhoven, Richard Tuttle, Robert Wilson, Jerry Zeniuk.